Use the stunsail tack bend to attach the main halyard to the Tech sail. Use the cleat hitch to securely tie the halyard to the cleat on the mast. Use the bowline to secure your boat to the dock. The Tech is really easy to rig once you have done it a few times. This video will show you how to properly rig the Tech and give you pointers to some common newbie predicaments. It is important to put the boats and equipment away properly to prevent damage and maintain the fleet for years to come. See how to roll the sail. Learn how to single reef the Tech sail to make the boat more manageable in a moderate breeze. Learn how to double reef the Tech sail to make the boat more manageable in a strong breeze. See how to launch the boat with two people. See how to tack the boat with two people. See how to return to the dock with two people. See how to gybe the boat with two people. Learn how to gybe using only the tiller. Learn how to gybe using the tiller extension. 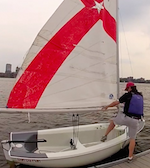 Learn how to tack using only the tiller. 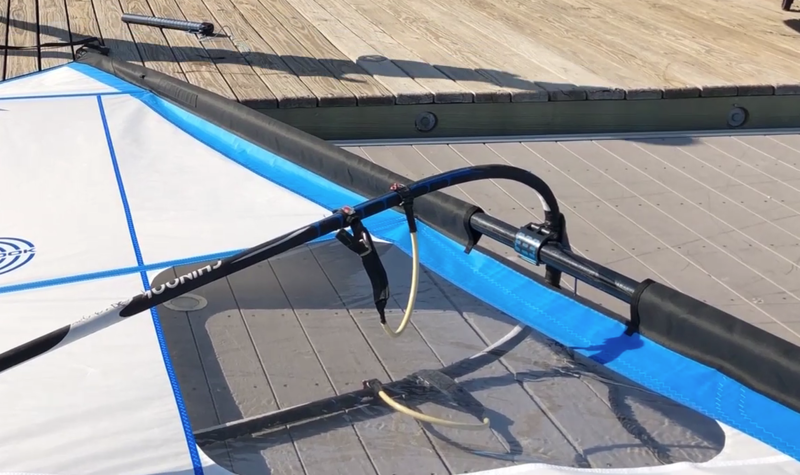 Learn how to tack using the tiller extension. Learn how to trim the mainsheet with one hand. Learn how to properly recover a person who has fallen overboard. Watch how to launch your boat from and return your boat to the dock when sailing by yourself. A brief introduction to the Firefly and how to rig. 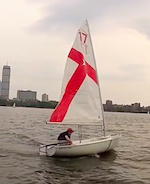 Sailing, tacking, gybing, and how to unrig. 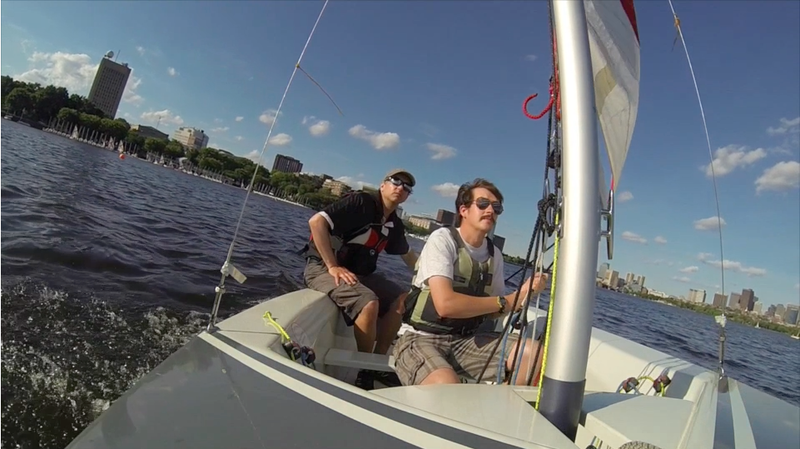 Video from Sailing World on the return of the Fireflies to MIT. 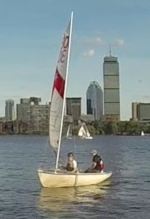 The Lynx is different from the other boats at MIT because it is a gaff-rigged boat (a four sided sail held up top by a diagonal pole called the "gaff"). If you have your Provisional Rating, and would like to sail the Lynx, this video will get you acquainted with the different parts of the boat, how to hoist the sail, and how to prepare to leave the mooring. Learn how to leave the mooring without getting stuck on the granite wall. Similar to jibing in the Tech Dinghy. Tip - mind the boom! When tacking in the Lynx, make sure to trim in the mainsheet all the way. Wait until the sail fills on the new side, and then switch places.